While economic and social controls have been greatly relaxed in China since the 1970s, political freedom is still tightly restricted, and bearing the brunt of China’s force against dissidents are the practioners of Falun Gong, who are made subject to beatings, torture, and perhaps even organ harvesting, behind the closed doors of China’s punitive system. According to the Constitution of the People’s Republic of China, the “fundamental rights” of citizens include freedom of speech, freedom of the press, the right to a fair trial, freedom of religion, universal suffrage, and property rights. In practice however, these provisions do not afford significant protection against criminal prosecution by the state, and it is widely recognised that Chinese citizens to not enjoy the same liberties as afforded by Western governments and constitutions promising the same rights. The most populous nation on earth also has the greatest rate of executions in the world, almost 30 times more than in the United States (per capita), and many limitations places upon freedom of speech, movement and religion. “On August 25, 2007, I went out to distribute truth clarification materials with another practitioner. 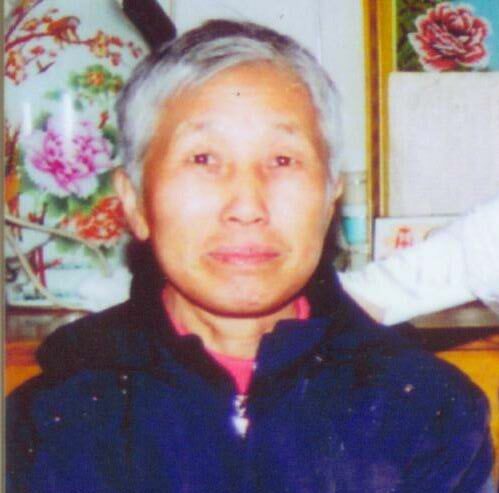 We were arrested and held at the Nuerhe Township Police Station, the Taihe District Police Department, and the Jinzhou City First Detention Center…on December 11, 2007, the Taihe District Court sentenced me to four years in prison and took me to Shenyang Women’s Prison. As soon as I entered the prison, guards Shen Xuyang and Zhang Lei tried to force me to give up my faith in Falun Gong, but I refused. They assigned three prisoners to monitor me. Shi Susheng watched me during the days, while Fan Xu and Zhao Limian watched me at night. They tortured me in many different ways. I was forced to sit on a small stool only three inches wide and one inch high. They allowed me neither restroom use nor sleep. When I became so tired that my eyes closed, Fan Xu or Zhao Limian would whip me with an iron chain. It wasn’t long before I couldn’t open my eyes anymore because they were so swollen. Fan Xu then dragged me to the washroom, poured ice-cold water over my head, then continued to whip me. Three days later, I could no longer stand up. On the fourth and fifth days, my mind was a blur and my entire body felt paralyzed. Fan Xu and Zhao Limian never ceased torturing me. They refused to allow me to use the restroom or sleep, whipped me with chains, constantly doused me with cold water, and forced me to sit on the tiny stool. I felt paralyzed on the small stool, because I was unable to sit up. They tortured me like this for six days. During the four-year prison term, I was also forced to do slave labour from 6 a.m. until after 9 p.m. Sometimes I was forced to work even later in order to fulfil a quota. After the first month in the prison, guards again ordered me to fill out a repentance statement, but again I refused. They tortured me over and over: no sleep or restroom use, whippings with iron chains, and dousings with cold water. One morning, Zhao Limian slapped me until she was exhausted. On another morning at around 4 a.m., Fan and Zhao squeezed my private parts and my arms until I was covered in purple bruises, which remained visible for several months. Despite this intense abuse, I still refused to write what they wanted. Fan held me down on the floor, stomped on my chest, and stripped off my clothes in freezing weather. They tortured me like this for another 5 or 6 days straight. Cao Jingzhen, a 52 year old woman from Hunan Province, was actually tortured to death by similar methods in a Forced Labour Camp on 2001. She had already been arrested and beaten several times before for practicing Falun Gong, but in 2000 she was arrested and taken away by local police for practicing the exercises with others at home, and transferred to the Labour Camp. There, in early January 2001, after all the Falun Gong practitioners loudly recited the Fa in the labour camp by way of protest, fully armed police officers were called in. The practitioners were taken to the strict-control department and tortured by being hung up by their handcuffs, having to squat and stand, being deprived of sleep, beaten with electric batons, and more besides. After falling unconscious, Jingzhen was left in a small, damp cell, handcuffed to the steel door. It is unknown how long she was tortured in this tiny compartment, but a team headed by Tan Xiangqiang, the brigade captain, punched and kicked Jingzhen until three of her ribs had broken. This caused her to have internal bleeding, and she died later, at home, after being released. The multitude of such stories as these have started underline an even more disturbing story from the darker side of China’s prison system: how is China able to have an on-demand transplant system capable of extremely short wait times compared with every other country around the world, including the United Sates? Arguments are now starting to surface suggesting that the only possible way China could transplant the number of organs they have been transplanting over the past 12 years would be to have another source of living donors that is available on-demand. 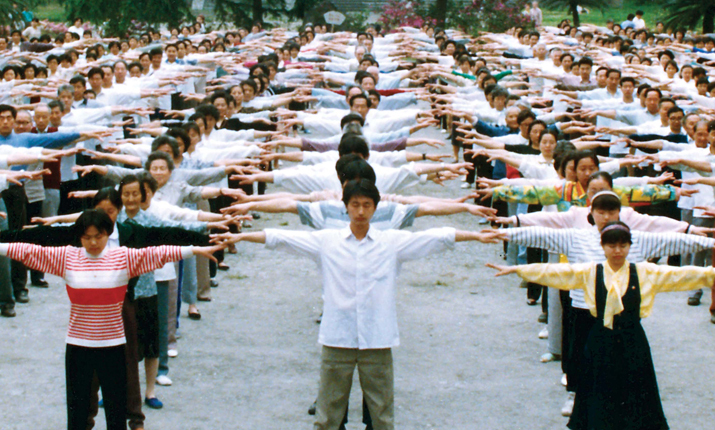 Several investigators have pointed to prisoners of conscience as the main source of organs being used with the practitioners of the spiritual movement; Falun Gong being the most severely persecuted of a sizeable list. Many experts believe Falun Gong practitioners are the largest population of prisoners of conscience in China today, and are commonly subjected to inhumane torture while incarcerated- perhaps even to the removal of some of their organs for private sale. In a hearing in September 2012 on human rights affairs in China, it was suggested that the timeline of China’s transplant boom corresponds remarkably closely with the start of the persecution of Falun Gong in China in 1999, and the peak of their persecution corresponds very well with the start of the tremendous rise seen in the transplantations. An investigation done in 2007 by David Kilgour and David Matas compiled 52 verifiable forms of proof that Falun Gong practitioners were being killed for their organs, but this issue has not been held at the forefront of media attention in the intervening years. Medical doctors outside China have confirmed that their patients have gone to China and received organs from Falun Gong practitioners. At the same time, Falun Gong practitioners who have escaped China have testified that they often underwent blood and urine testing, and had physical examinations and ultrasound evaluations multiple times while in prison. Surgeons have even stated in interviews that they have witnessed the harvesting of Falun Gong practitioners’ organs. There have even been admissions over the phone by several high level Chinese officials that they are aware that Falun Gong practitioners are used as a source for organ donation. The evidence is quickly mounting to show that China is using, and at times disposing of, its religious and political dissidents whilst making money on the side, and also hiding one of their great problems in the process. And perhaps what this highlights, more than anything else, is how limited our knowledge actually is of what really goes on deep inside this new booming superpower, in which the truth is still all too often suppressed. Tags: china, human-rights, prison, religion, torture. Bookmark the permalink.